When the big toe pushes unevenly against the other toes, it nudges outward and creates a bony bump on the side of the foot. This is known as a bunion. Many a times it is accompanied by the swelling of the bursal sac that lies between the joints. Sometimes bunions are erroneously described as enlarges tissues but are actually a deformity of the bone.The joint of the little toe is also vulnerable and smaller bunions known as bunionettes can develop at these joints. However, the conditions are the same as the large bunions. The very first signs of a bunion is the thickening of the big toe and a slowly one can notice a bony bump or deformity around it. The toes become crooked and the person begins experiencing slight pain and discomfort while walking or wearing shoes. Blisters, corns, and calluses can form between the first and the second toe when they overlap each other. Slowly the area begins to swell and the skin turns red. This increases the pain and the difficulty to walk or stand comfortably. Arthritis of the big toe is also one of the major symptoms that one has a bunion. Doctors have proposed many theories for the causes of bunions but the exact cause is still unknown to medical science. However there are some causes or factors that are known to lead to bunions. Heredity - Bunions are one of those problems that can be passed from generation to generation. It is not necessary that the very next generation is affected by it, but bunions are a disorder that can run in the family. Accidents or Injuries - Sometimes, an accident or an injury can cause the big toe to overlap the second toe, which in turn pushed the bone to the outward side, thus giving rise to a bunion. Arthritis - Rheumatoid arthritis is one of the leading causes of bunions as the inflammatory nature of the arthritis causes the bones to change their alignment and thus project the bone in the outward position. 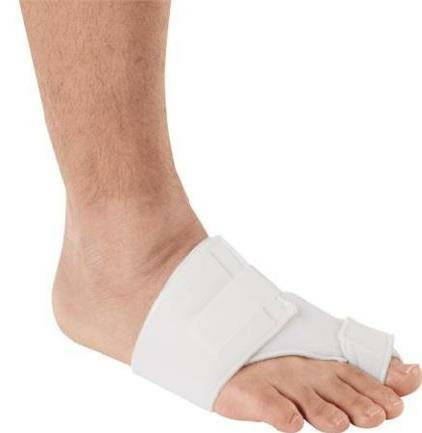 Improper Footwear - Wearing the shoes of the wrong size, especially the smaller size, can restrict the movement of the tendons and bones in the feet thus causing the foot to get misaligned. What products can be used to treat a bunion? There are two major ways of treating a bunion, but they depend on the severity of the bunion. If the bunion is in its full form or last stage then a surgery is required to realign the structure of the foot. But if the bunion has been diagnosed at an early stage, then basic home treatments can be sufficient to realign the bone and correct the structure. For home treatments, there are a number of products in the medical market that help in correcting the shape, relieving pain, improving joint function, and reducing the chances of recurrence. Toe separators and toe splints are one of the major things that can be used to correct the structure of the feet. 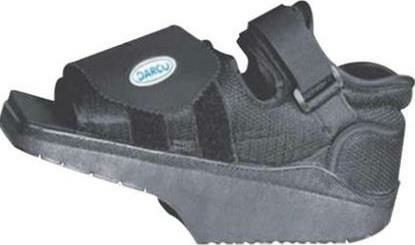 They are placed between the affected toes and can be used within the shoe or even when one sleeps at night. They force the tight soft tissue structure to bring it back into the right shape. Creams and gels are appropriate for reducing soreness and swelling. Anti-inflammatory gels of all kinds can work efficiently to reduce the swelling. Pain relief creams can help in alleviating the pain. Healing shoes are also a wonderful option. 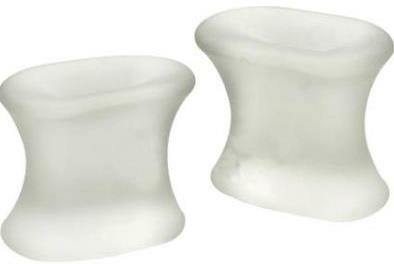 They reduce the pressure on the feet and thus, help in reducing the pain and the avoiding worsening the condition. More than 50% women in America suffer from bunions. If left untreated, bunions can progress over time, eventually requiring surgery to alleviate the pain and return the patient back to a normal active life. Choosing the right treatment and rehab options is also a must to avoid further complications such as bursitis or arthritis.